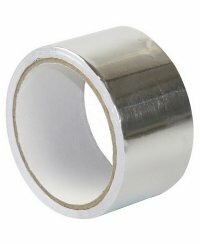 Aluminum tape has the advantage that it does not crack and is not brittle, even in extreme or highly fluctuating temperatures. It is particularly suitable for sealing pipes that are very stable and perfectly sealed when mounted thanks to the aluminum layer. Neither air nor heat can escape into the surroundings. Fabric tape is composed of a long strip of plastic film, paper or textile fabric, which is coated on one or both sides with adhesive. 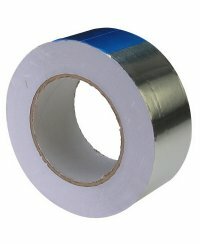 There are many different kinds of fabric tape, with which the properties of different materials have an effect. It can be used as a universal adhesive tape for all applications. 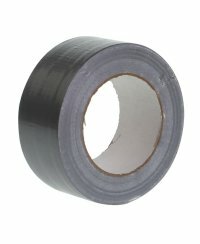 The PVC sealing tape that we offer is composed of a thin film of plastic PVC and an adhesive strip. PVC sealing strips are less rigid than aluminum bands and are also suitable for sealing off various spots in order to prevent water or air escaping. This process ensures the maximum efficiency of your system, reflected in minimized water and power costs. Choosing the right band is also crucial for the stability of your system. 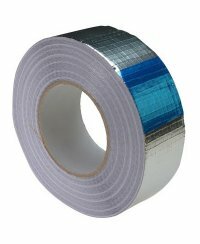 With our range of aluminum tape, fabric tape and PVC sealing tape, you are prepared for every situation.